Gold Medal Award in Tokyo and so on. iTARDIY is readily receiving recognition around world. 1.iTARDIY is 100%water-proof.insect-proof.prevent mould.Non-toxic.No formaldehyde.No plasticizers! 2. Without screws.clips or any tools to combine an iTARDIY in 15 second! 3.Overcoming the problem of poles magnets repel and attract.magnetic iTARDIY boxes can be stacked to each other in different directions! 4.Made of PVC and ABS.iTARDIY can be recycle and reuse! 5.Light weight.small size.easy to move.convenient to store! 6.Beautiful and practical. strong and durable. good as a present or for personal use. iTAR DIY Magnetic Multi-Purpose Cabinet is an awesome product! selling point:furniture.house. 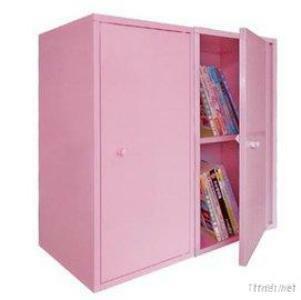 Boxes.book cabinet.file cabinet.shoe cabinet. Bath cabinet. CD cabinet.Locker. 100% water-proof.insect-proof. prevent mould. Non-toxic. no formaldehyde.no plasticizers.